We are thrilled to announce that South Coast Business Golf is relocating to Gatton Manor Golf Club, Ockley, near Dorking in Surrey. South Coast Business Golf owner and Head Professional David Fluke will be leaving Hill Barn Golf Club, Worthing, after seven successful and enjoyable years and moving the South Coast Golf Coaching academy and the South Coast Business Golf operations to this beautiful Surrey Hills based golf course. 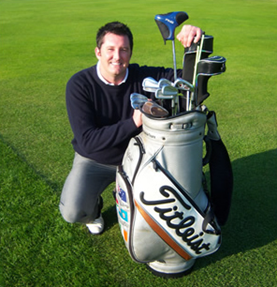 David will therefore assume the role of Head Teaching Professional at Gatton Manor and will also be taking an exciting new role as Corporate Golf Events Manager, drawing on his considerable experience running over 50 golf events across the southern counties over the last decade. South Coast Business Golf will continue to offer golf day experiences across the the south, however, with his new role at Gatton, David is keen to offer the Gatton experience for your company golf day. David said “I am thrilled to be moving our operation to Gatton Manor and to take on these new roles. The new owners of Gatton have ambitious plans for the future and I am honoured to have been asked to become a pivotal part of this new venture. Gatton is old ground for South Coast Golf, having run many golf days there in the past.  At Hill Barn, I have met some wonderful people and made some great friends in what is without doubt one of the friendliest golf clubs in Sussex. I will always look back my time at the club with great fondness and am grateful to the owners and members of Hill Barn who gave me the opportunity to establish myself and the South Coast Golf Coaching operation there. It has been an honour and a pleasure to represent Hill Barn as their Club Professional and I wish everyone there every success for the future. I am looking forward to taking the next step with South Coast Golf at Gatton Manor providing first class tuition utilising some of the best golfing facilities in the region and working with the club to provide standout corporate and society golf day experiences”.